fatBuzz: No rest for the wicked...but, some wicked results! No rest for the wicked...but, some wicked results! It's been all go at fatBuzz these past few months and there's no sign of it stopping anytime soon! Here are a few of our recent web design projects we've been working on. The first is Chattelle Estates. This is a brochure website with a property search facility all built on a content management system which allows the client to change the website at any time. 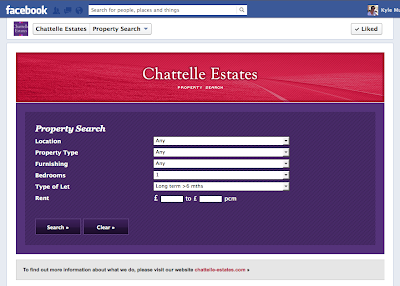 As you can see below we have created an additional feature on Facebook which is built within an iframe tab where all users can carry out a property search without leaving the Facebook page. 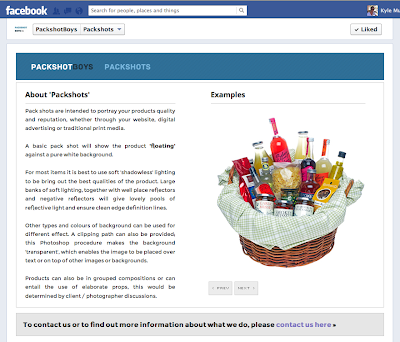 Click on the link below the image to view this Facebook functionality. The 2nd site is Packshot Boys. 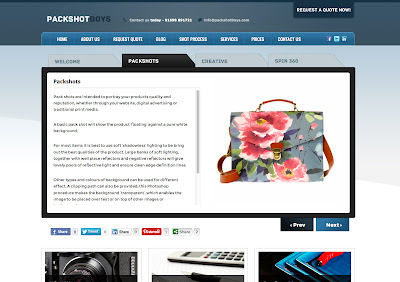 They are a vibrant new packshot company and this website predominantly focuses on product based photography for e-commerce websites. On their Facebook page there is a tab feature which allows the users to look at some of the products and services that they have worked on in the past. As you will see within this tab we have integrated a slideshow function to display various product images. Click on the link below the image to view. 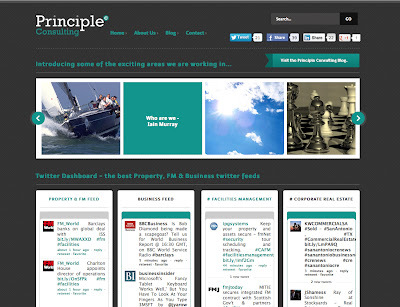 We also designed and developed Principle Consulting website. This site was built with a strong focus on social media. For example, you can subscribe to the blog RSS feeds and view a variety of their social media channels from the one hub. As you can see from above we have been designing and developing a variety of different websites for our clients. We would love you to give us some feedback on what you think of the sites and their features. If you have found this post interesting please share it with your community.